Hometown Vending is an enthusiastic promoter in the move to fresh healthy vending choices for businesses in The Woodlands Texas, Conroe, Houston, Magnolia, Tomball, New Caney, Humble, Huntsville, Willis, Spring, and Cypress. Today people everywhere are opting for snacks and meals that allow better health, keep weight in check, have lower salt, and contain fewer manufactured substances. Our healthy vending choices will keep your staff happy and satisfied. You get better work, more productivity, and fewer days lost to illness. Best of all, you and your staff will notice the added energy and enthusiasm after enjoying healthy snack and food choices with fewer calories, lower sodium, less sugar and fat. We offer healthy options that fit into the wellness initiatives that are now required at many companies. 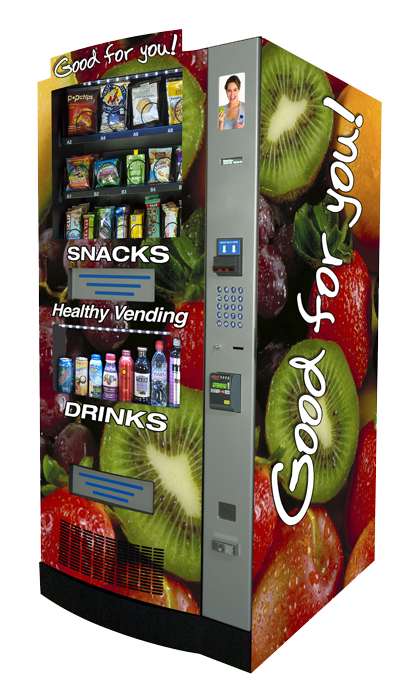 Hometown Vending offers a complete line of healthy snacks and beverage vending machines for your Conroe, Houston, or The Woodlands area business. Healthy Choices In Your Machines.. 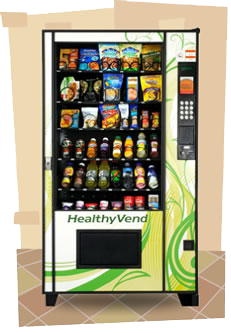 If you need an “all healthy” vending machine… we started Hometown Healthy Vending back in 2012. Our “healthy only” division is for schools, hospitals, gyms and health clubs, etc. Please click the logo to your right to go directly to the Hometown Healthy Vending site.